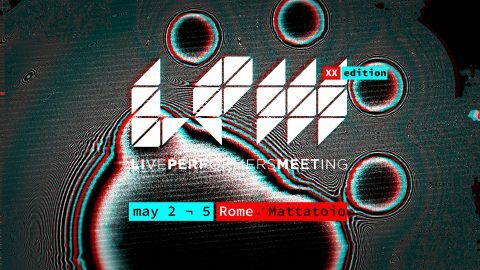 We are beyond excited to invite you to the anniversary edition LPM 2019, a think-tank and a celebration of Audio Visuals Performing Arts. Since 2004, LPM hosted more than 4.600 artists, 2.625 performances, workshops and showcases, recorded an overall amount of 72 participating countries and welcomed more than 1.500.000 visitors. We are happy to welcome you to be a part of the celebration of all things experimental, creative and interactive. VJs, AV artists, designers, newcomer enthusiasts, professionals and the audience will be involved in the manifold planned activities, ranging from experimental audiovisual performances, architectural mapping shows, VJ-DJ Sets to workshops, lectures, roundtables and presentations and launches of products and hardwares, with a special focus on Free and Open Source projects. In order create the opportunity to host as many performances as we receive, the maximum duration of each show is limited to 30 minutes.